The story of digital currencies won’t just be a matter of their rise and fall, however. Some may bounce back. Bitcoin and its progeny may embark on another spectacular run to dizzying new heights. Then again, they may not. Since the leading crypto coins aren’t backed by anything tangible, their value is entirely speculative. It’s not just radical libertarians and black market merchants who value decentralized alternative payment systems. Such alternatives have the potential to offer practical advantages to users, such as avoiding fees on international cash transfers or credit card transactions. For some, finding alternatives to conventional financial tools is a must. Banks and credit card processors are increasingly denying services to customers for their political views. It happened recently to one of the most prominent alternative social networking sites, Gab, merely because it allows controversial views to be expressed by its members – in the same way that a viewpoint neutral email or telecommunications provider does. Gab has been denied by multiple banks during the underwriting process for a new payment processor. Multiple processors supported us, their banks did not. Gab is the supreme example of why bitcoin exists. 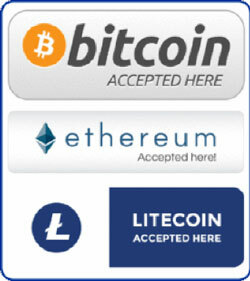 We will be integrating BitPay asap because Coinbase already banned us. Outside of this we will be setting up a PO box to mail cash/checks to. This is what we need to resort to in order to have any revenue. This is the level no-platforming has reached. As the threat of ideologically motivated financial de-platforming by banks and payment processors grows, so does the need for robust alternative payment systems. However, as noted by Torba, major Bitcoin exchanges such as Coinbase are behaving like politically correct bank intermediaries – blacklisting people they don’t like from the crypto marketplace. They are also collecting personally identifying information on their customers and handing it over to the IRS. The only way Bitcoin holders can absolutely guarantee their privacy is to never put their transactions on the blockchain ledger – i.e., never use their Bitcoin for anything. The problems with Bitcoin are numerous – slow transaction confirmations, excessive energy consumption, and risk of loss due to loss of digital key, theft, fraud, and potential government crackdowns. 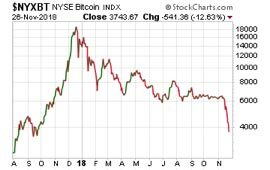 The biggest fundamental problem with Bitcoin and other unbacked cryptos is the lack of any sound basis for valuation. That is a problem that can be addressed by putting real assets on the blockchain, but a degree of counterparty risk would remain. Overstock CEO Patrick Byrne is investing in blockchain businesses that aim to tokenize publicly traded companies. He sees this as a way to decentralize Wall Street and end share price manipulation by large institutional traders. Gold bugs are eyeing digital currencies backed by physical precious metals. There are many technical and legal challenges still to be worked out, and there are likely to be a few scammers in the mix as well. But optimists hold out hope that one day it will be possible safely and reliably to use gold or silver on the blockchain to buy shares of stock or perhaps even real estate all without having to convert to dollars or go through the banking or brokerage system. Digital gold could emerge as a leading default store of value in lieu of dollars or Bitcoins – which would drive huge new demand for the metal. That’s the bullish case for blockchain and its possible integration with sound money. There is also a bearish case. What if governments and central banks co-opt the digital currency space as part of a war on cash? Globalist central monetary planners may claim to have our “inclusion,” “security,” “protection,” and “privacy” as their primary concerns. Their real concerns are to drive out competition to fiat currencies and accelerate the move to an all-digital economy where paper bills and coins are abolished and private transactions are impossible. Federal Reserve officials have so far denied they plan on issuing a digital “Fedcoin.” But they have looked into it. In the dynamic and rapidly evolving alternative currency space, it is impossible to predict exactly what new government interventions, technological innovations, or market iterations will drive the next major trend. Precious metals may play a growing role in backing alt-coins. Either way, they will continue to play an important role in the portfolios of investors who want to protect themselves from the risks inherent in digital and paper wealth. *David H. Smith is Senior Analyst for TheMorganReport.com, a regular contributor to MoneyMetals.com and a contributor to the LODE Cryptographic Silver Monetary System Project (CSMS). He has investigated precious metals’ mines and exploration sites in Argentina, Chile, Peru, Mexico, Bolivia, China, Canada and the U.S. He shares resource sector observations with readers, the media, and North American investment conference attendees. He is a regular presenter at financial conferences throughout the country and is a highly sought-after guest on many popular financial shows, and it’s always great to have him on the Money Metals Podcast. Greg, good to talk to you again and welcome back. Mike Gleason: Well, Greg, let’s start by getting your update on what impact trade policy and tariffs may be having on the U.S. economy. We last spoke in July. Tariffs were just beginning to actually take hold. Since then, the President has imposed additional tariffs. Anecdotally, we have seen some effect. We’ve recently ordered some steel storage lockers for our client storage vaults and the price was increased 10% based on the higher cost of imported steel. There are also wholesale price increases coming on one line of the preparedness products we offer on our SurvivalGoods.com website. We can assume lots of businesses are experiencing the same sort of thing. Do you think tariffs are now having a significant effect? Is any of the recent weakness in the equities markets attributable to trade policy, do you think? Greg Weldon: Yes, no, and yes. First of all, in the sense of is tariffs having an effect, absolutely. But maybe not in the way you think and not in the way you couched the question. What I find really interesting is the Fed just published a really comprehensive survey last week in which they asked businesses, manufacturing firms, I should quantify, but this is where we’re talking about in terms of trade … Manufacturing firms in terms of the impact of tax cuts versus the impact of tariffs. And the results were fascinating, because the impact of tax cuts was dramatically positive, as you might suspect. But what you might not have suspected was the impact of tariffs, which were there a degree of percentage of firms which had negative impact from tariffs? Yes. I don’t remember the exact numbers, but it was somewhere less than 20%. I think from the U.S. economic slowdown perspective not a big deal, and that’s what Trump’s counting on. But the bigger picture, absolutely an impact, because it’s affected China so much, and China was already slowing. So the GDP numbers that came out, and you know that we look at most things from a mathematical perspective, and one of the knocks on China is the slowdown in retail sales, the slowdown in money growth, the slowdown in GDP growth, the slowdown in industrial production and FDI. But the nominal numbers are so high in trillions of renminbi that of course you’re going to have a percentage slowdown, because you came from such a low base. So something like retail sales, you’ve gone from a 15% year-over-year rate to 9, and everyone’s up in arms because the consumer in China’s slowing. No, it’s a record number every month. It’s just a lower percentage gain because the nominal numbers are so huge now. But right here, the third quarter numbers, were different. There was real weakness, and it’s kind of even ahead of tariffs, which are going to cause more problems for China. We already see inflation on the rise. We see commodity prices in renminbi breaking out here, big thing that nobody’s really talking about too much. And the renminbi’s about to take out 7, probably going to 7-1/4. So yes, major impact, but it’s on China. Then you see the flow through to how this affects the U.S. and how this affects other global markets, and this coming at a time when you have a lot of other things going on: The Fed, what’s happening with emerging markets, how emerging markets, specifically Turkey, might flow into Spain, and how Europe is vulnerable. So, there’s a lot more than just tariffs going on. Yes, there’s a major impact, but it’s not on the U.S. economy. It’s in the market vis-a-vis what’s happening in China as a result. Mike Gleason: That leads me right into my next question. The President has said he would prefer to have trade without tariffs. He is imposing them as a tool to negotiate more advantageous trade deals. What do you think of the strategy here? It looks like obviously the Chinese economy is in trouble and maybe they will be more willing to negotiate, but we aren’t sure the U.S. is in nearly as strong a position as the president thinks. If you look at the balance sheet of trade on goods and services, yeah, it appears they need us more than we need them. But that is ignoring the fact that the United States is the world’s largest exporter of debt and inflation. We need trading partners to keep buying Treasuries and keep taking our dollars in exchange for stuff. So, how would you rate the President’s chances of winning, given what we have to go on so far? Greg Weldon: Well, you hit on all the pertinent points there, Mike. We could have a three-hour conversation just on this one topic, this specifically. But I’ll give you the short answer, and we said this before potentially on your show, is the strategy here is pretty simple. I mean you have two guys, doused in gasoline, holding matches, lit matches. The U.S. match is longer than the Chinese match, so the dynamics here is do we get to the point where we’re self-immolating and you’re basically catching on fire here? The strategy in the U.S. is that as the match in China gets shorter they’re going to blink. The numbers support that thought process certainly from the trade perspective. There’s no doubt. The numbers are overwhelming, frankly. But you then, of course, lead to the next phase. And it’s very much like the Cold War with Russia in the ’50s and ’60s, into the ’70s and into Star Wars. It’s the same thing. It’s called MAD – Mutually Assured Destruction – but that’s what you have. China relies still, even though they’ve grown their own domestic wealth, they’ve grown their own domestic income, they’ve done all these things, it’s such a wide gap still, it’s a race against time where time is quite much infinity to some degree. So that still leaves China somewhat dependent on the U.S. consumer, frankly. But at the same time as the net debtor nation and China holding a ton of U.S. Treasuries, therein lies the potential for Armageddon, so-to-speak, where China starts dumping. Already they’re not buying, so now the next move would be they sell. But that means everyone blows up and everyone catches on fire. So how this plays out, I don’t know. One of the things to me, Mike, is actually you know how Trump is, and sometimes he’s his own worst enemy. Does he have a valid stance? Absolutely, against Canada, against Mexico, against Europe, against China. Yes, should be no tariffs. Free trade is free trade, and we’re really the only free free trader. So it is unfair and China’s taking advantage, so something had to be done. Is this too dramatic a step? Well, we’re going to find out, and we’re kind of starting to find out, because China’s kind of melting down and that’s having a bigger impact on global markets. But if the end game is China’s upset because they were called a currency manipulator a year ago at a time when renminbi was one of the strongest currencies in the world. And you say China’s hurting and people look at it China is slowing. China is not slowing. The growth is slowing. So guess what? 6% on a level of GDP that’s now significant isn’t chump change. The U.S. would kill to have those numbers. So, yes, it’s Mutually Assured Destruction and you have to think that China will ultimately come to the table. They’re traders. This goes all the way back … You can bring up Marco Polo, for crying out loud. So they’re very astute. They are very smart. I mean, I’ve dealt with them for 30 years. They know what’s going on. So I think at some point they come to the table. That’s the hoped for. The question is, how much damage is done by the time that happens? Greg Weldon: Yeah. I think it’s only begun. And I thought yesterday was a very dangerous day, yesterday being Tuesday, the 23rd I think it was. Because you have the setup for kind of like a crack, a big crack. It was almost, and I’ve been talking about this since the beginning of the year, there are correlations to 2007 and ’08, and that’s more macro in setup, but when you look at the market structure and some of the more overlaid type of correlations, there’s a lot of 1987 here. We talked about this in the beginning of the year, where the bond market would come under pressure, particularly, and if you go all the way back to the piece I did in September over a year ago and called it Shrinkage, after Janet Yellen came out, dropped the word, “We’re going to normalize policy,” which I hated, because what does that mean? It means nothing, versus we’re going to go to a “neutral” policy. It got to 265. It was almost exactly the move. Why? It wasn’t rocket science. It was because the inflation rate was somewhere between 220 and 250 if you look at CPI, and that’s what I’m going to use. The Fed can use PCE. I’m still going to use PCI relative to the markets, because that’s what the markets still are going to look at frankly. So, that move was easy, but then the thought process was even last September coming into now that if the Fed said they’re going to go further, which they did, Jackson Hole and then the September meeting, that would be a problem, because then you bring the bond market into play. Because you can push the two-year notes only so close to the bond markets, the yield curve is not going to invert here and that’s going to push the bond yield up, which it did. It broke 3-1/4 at the same time Turkey was melting down for a second time, when inflation jumped to the level of interest rates they just jacked 600 basis points to get to, that single day kind of precipitated all of this. But if you look back, this has been a bond market buildup much like ’87, where in that case the bond market was under a lot of pressure, it was the long end then. It’s the short end now. Leading into August, when you kind of had some kind of denouement in the bond market, and then all of a sudden stocks started to feel it, emerging markets started to feel it. You saw emerging markets’ currencies crack in August. Same kind of setup, different era. To me, this volatility was expected. We said at the end of August if the Fed moves in September you’d see a selloff in October. That’s exactly what’s happened, and I think it’s just beginning. I think you have much more volatility. This is nothing. The on-balance volume indicators, everything. You haven’t had any liquidation and that’s a dangerous accident waiting to happen, when if you go to sell somebody’s high priced stocks that have huge ownership and a diminished turnover in shares because the price is so high, you have a potential vacuum of buyers under this market. So I don’t think you’ve seen the worst of it by any stretch of imagination. Mike Gleason: Just over the last week or two, we’ve heard a couple of former Fed chairs, Alan Greenspan and Paul Volcker, both coming out and talking about what a bad spot we’re in economically and that the chickens will be coming home to roost here before long. Talk more about this tough spot that the Fed is in, because it seems to us that they’re really stuck between a rock and a hard place here with rates. They want to keep inflation from getting out of control, but they also probably don’t want to kill the economy. And we both know how important, say, the housing and auto sales sectors are in the economy, for instance; And sales of those two big ticket items are very heavily linked to interest rates, and we can see that they’ve been starting to show signs of cracking here of late. How do you see the rising interest rates impacting the consumer drag, and what might that mean for the economy moving forward? Greg Weldon: Well, I think that’s what the market is exactly telling us, because, again, in August we said if the Fed moves in September, you’re going to have a catalyst here. Because you want to chase inflation, but how far do you chase inflation when you put the consumer at risk? And the consumer is at risk; the consumer’s already stressed. You can talk about (how the) Target CEO says the consumer’s the strongest he’s seen in 30 years. The Fed even mentions, “guess what, consumer balance sheets are pretty “‘healthy'”. There’s nothing healthy about the consumer. This is a steroid-addled consumer that has lived for years on monetary steroids. The correlations are precise in terms of balance sheet expansion, increases in retail sales. It went from QE1 to QE2 to QE3 to fiscal QE because you were flatlined in 2015 into the middle of ’16 until Donald Trump won the election. And then it was fiscal QE. You’ve run that out now, and everyone owns these shares. To the degree that the Fed keeps pushing here, it puts the consumer at risk because the consumer has borrowed against the stock market unrealized paper profits in a paper asset that they believe cannot go down in price. Doesn’t that sound familiar, 2007, 2008, housing, mortgage equity withdrawal, and huge consumer debt? They went upside down. You have the same setup here. Different dynamics, but the same exact setup: over-leveraged consumer relative to the stock market. If the stock market gets hit, the consumer will go down. I think we’ve talked about some of these stats before. Before the September rate hike, the monthly payments on interest cost, in other words, paying the interest to carry the credit card debt, not paying down the debt., $325 billion per month it’s gotten up to. A record high, number one, and number two, 60% of total retail sales on a monthly basis, which is $510 billion a month. That’s number one. Number two. Consumer credit card debt now accounts for 78% of all new consumer debt over the last 12 months. Further, that growth in that debt at $72 billion nominally over 12 months exceeds the growth in retail sales at $31 billion by more than two to one. Now, some of that is using credit cards for more things. But if you look at the Fed’s New York household survey, you see people under the median income of $58,000 a year are using credit cards and borrowing money to pay their bills. They don’t own stocks; the tax cuts are not huge enough with them. It’s more corporate. This is why they’re talking of middle income tax cuts now, because they’ve kind of left behind that lower level. It’s half the economy. So, wow, to think that this is kind of the situation where you put the Fed behind the 8 ball. Do they keep chasing inflation higher at the risk of deflating the consumer and causing a collapse? That’s the big question. I don’t know how it plays out, but I think the Fed is very close to taking their foot off the brake. And that’s why we think there’s a new trade coming at some point in here, where it’s dollar down and gold rallies. 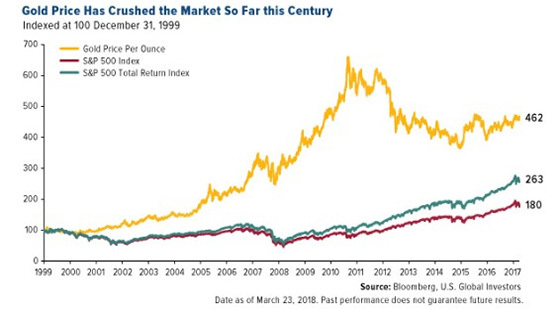 Mike Gleason: Before we get a little bit more into gold and silver, Greg, I know you keep close tabs on many different commodities and all the precious metals so I wanted to get your update on what we’re seeing in the PGMs, the platinum group metals, because I’ve really been fascinated by this widening gap between platinum and palladium because, my goodness, we’ve got about a $300 palladium premium versus platinum right now as we’re talking on Wednesday afternoon. What’s going on there, Greg, and should we expect palladium to reach parity with gold here soon? Greg Weldon: You know what, honestly, it’s really hard to handicap what’s going on here, Mike. For the life of me it’s kind of in its own universe. Palladium has been. This has been going on really for the better part of a year and a half, two years, where palladium got up and then exceeded $1,000 and really came off hard. We actually got short, and we had some nice profits over a two-day period which then evaporated over the next two weeks. We didn’t catch this move because, frankly, I didn’t think this was going to be a situation where palladium was going to go off on its own like it has. You can look at some of the mining situations. There are some reasons you can use, but they’re more excuses. Why this market is doing what it’s doing is not empirically evident to me, so I don’t know. I honestly don’t know. How far can it go? I don’t know. I mean, you know how these things are. You’ve been around long enough to know that you can never count on any kind of situation, any kind of parity, anything going to levels that you never thought possible before. You can’t think that way. So, could palladium get to parity with gold? It’s pretty dang close already, so yeah. Sure, it could. Could it exceed gold? I mean, frankly, if you want to take it to its base level and strip away all the monetary, all the psychological, all the historic, all the emotional attachments to gold and, even to a lesser degree, silver, if you go to the heart of the matter, which is the supernova, which is where these elements are created. It’s why they’re the most rare elements in the universe, not just in the world, in the universe, because they are created at those last moments when a star collapses into itself. So palladium, from that perspective, is a more rare metal than gold. So maybe it should be priced higher. Mike Gleason: Yeah, good point. It’ll be very interesting to see that play out. Well, as we begin to wrap up here, Greg, I’d like to have you share your thoughts with us, where do you think you think we go from here. Also give us any other insights on what you’re going to be watching here in the weeks ahead as we approach the all-important November elections and then the last couple of months of the year. 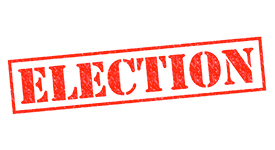 Greg Weldon: Yeah, the elections are kind of a wild card. It’s funny, you could actually say that having kind of a gridlock is actually when you get your best performance in stock market. So, I don’t give that a huge, high risk factor. If there were to be a surprise, it’s a risk, no doubt. But I don’t think that that’s the way that this next phase is going to play out. I don’t see that as the catalyst, per se. Not the highest odds, for sure. I’m really watching Europe, Michael. I mean, I think that what’s going on with the banks in Europe, what’s going on with Italy and Spain, let’s not forget Spain. There’s a lot of focus on Italy, and we know… the Northern League and the Five Star Movement, they don’t want the euro. And they picked a guy that would appease the president to be their economics minister when it was almost potentially going to go back to another election when they could’ve actually lost their coalition. So they brought the guy in. It’s going to be, “Rah, rah, the euro.” They’re not, “Rah, rah, the euro.” We know they’re not. And we watch the yield spreads in Spain and Italy relative to Germany, because they’ve widened. This is a risk yield spread. It gives you a sense for the risk. These are countries. I mean, we don’t have to talk about the debt, but we should because no one talks about it. It’s massive. It’s still huge. I mean, Spain, not in quite the situation as Italy but they’re above 90% of GDP. It’s still a crisis-like setup. So, that’s another huge risk factor, and if I’m watching anything right now that’s kind of what I’m watching. And then the other thing, of course, is the high-flying tech shares in the U.S. because that could be an accident waiting to happen. That’s when you start creating real doomsday scenarios that are not macroeconomic and probably not long-lasting, but would have a major impact. If you have some of these stocks where there’s no buyers under them and people go to liquidate and it starts out innocently enough, let’s take profits, take some money off the table, I’m in Palm Beach County. You know where I live. I’ve been approached more in the last month, and I’m not talking just last week or so. I’m talking back into September by some of my wealthy friends that are not in the business. I mean, this is one of the richest counties in the country and I’m at the low end of the scale over here compared to some of these people that I know, right? But they’re asking me, “I feel like I should take some caution here.” Yeah, returns are diminished. You’ve gotten all the good news from Trump priced in. You’ve had the big rally, and now people are a little nervous they’re going to let it slip away. That’s a dangerous situation. When these kind of people start asking me, I take notice because that is an accident waiting to happen. So the risk points are kind of like the U.S. high-flying tech shares, and then what’s going on in Europe to me is really where the manifestation of all this takes place. Greg Weldon: Well, the release valve always has been and will be again the dollar. So when the Fed finally wakes up and realizes, “Hey, maybe we’ve pushed the consumer a little too far here and we’re at risk now of not meeting our GDP growth goals, which are 4 to 5% normally”; are you kidding me? For next year? You think that’s going to happen?” Let alone the fact that the Fed’s Dot Plot gives you 3-1/4 to 375 next year, the futures market is actually priced to imply some belief in the market that the Fed won’t even get to 3% with Fed funds. And the market has been right throughout this entire time since 2014 versus the Dot Plot. They have under plotted the Dot Plot, and that has been the right move. If that plays out, and I think it will, it means that the Fed may be closer to taking their foot off the break than they’re going to keep moving for the next 18 months. I don’t see that. And when that slip takes place, the dollar is very vulnerable to me, technically speaking, because it’s a long-term pattern that goes all the way back to the ’70s and you’re in the zone here where the timing is perfect, the technicals are perfect, the Fed kind of eases off, the dollar gets whacked, and that’s going to be the catalyst for the next move in gold and silver. And we like gold and silver right here. The risk is not insignificant because if the Fed goes too far and the Fed goes further, frankly, that runs the risk of bringing deflation. You see, some of the commodities are wobbling here. We’re bearish on crude oil, but that’s it’s own universe as a bonus for your listeners. But we like gold and silver; we just think dollar’s the release valve, it always has been, it will be again. And when that time comes, and we think it’s sooner rather than later, it may not imminent but it’s laying in wait, but when it happens you’re going to want to belong to metals. Greg Weldon: Sure, yeah, I’ve been in the industry 35 years. Started in Florida Comex, worked at Moore Capital, one of the biggest hedge funds in the world in New York, and started my own gig 20 years ago. I’ve been doing this for 20 years. We provide Trade LAB as part of the WeldonLive service. It’s all-in service, one price. You come to the website, sign up, you can get a free trial. We have specific trades in every area: stock indexes, ETFs, bond futures, the currencies, the metals, the energies, the agriculture commodities. We really cover it all. I’m a trader by trade, and the research is from that perspective, to help you navigate these markets and maybe even some money at the same time. We call it the research that pays for itself, and actually, right now we’re heading into the new year, we’re going to be raising prices, so we’re kind of running a special. This year’s price is still available, so anyone can take advantage of that by visiting the website. It’s WeldonOnline, or you can email me at any time, gregweldon@WeldonOnline.com. Mike Gleason is a Director with Money Metals Exchange, a national precious metals dealer with over 80,000 customers. Gleason is a hard money advocate and a strong proponent of personal liberty, limited government and the Austrian School of Economics. A graduate of the University of Florida, Gleason has extensive experience in management, sales and logistics as well as precious metals investing. He also puts his longtime broadcasting background to good use, hosting a weekly precious metals podcast since 2011, a program listened to by tens of thousands each week. The outcome of the November 6th voting will be a big deal for investors, including gold and silver bugs. 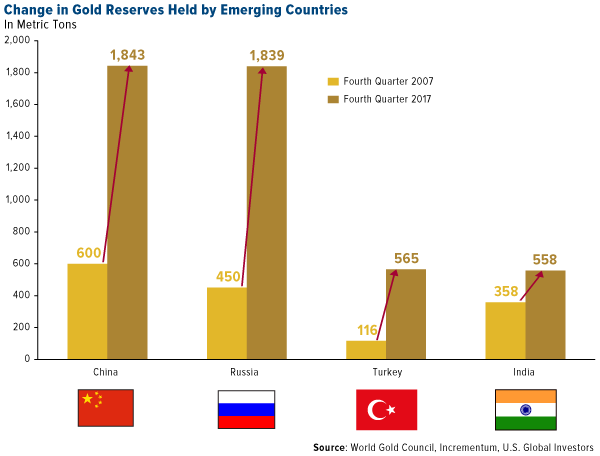 The metals, perhaps more than most other asset classes, are sensitive to geopolitics. Let’s break down what the potential voting outcomes might mean for the factors currently driving the metals. Let’s start with the equity markets. Stocks got a boost from President Trump’s election and subsequent tax cuts. Last week, the President floated the idea of additional tax cuts and he wants to pass a major infrastructure spending bill. Not much of what he wants will get done unless Republicans do well at the ballot box. Republicans retaining control in Congress almost certainly represents the best-case scenario for stock prices. 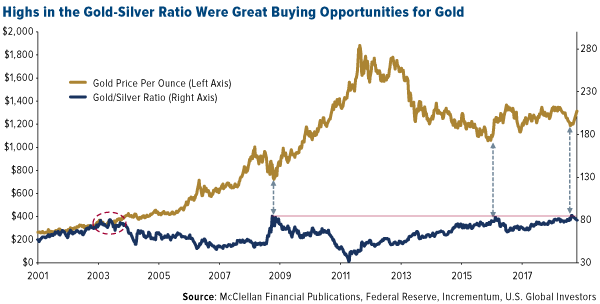 Perversely for metals investors who favor the President’s policies, a positive outcome for the GOP could negatively impact gold and silver prices, at least in the short run. Rising stock prices and the pervasive “risk on” attitude on Wall Street limits demand for safe-haven assets. We will need plenty of inflation reaching beyond equity markets and real estate for metals to win in that scenario. Alternatively, gridlock in Washington based on Democrats winning one or both houses may not be good news for stocks. The metals may get a boost, however. Despite what officials at the central bank say, they are not independent. 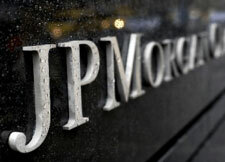 We wonder if they will respond to the President’s call to stop tightening, or if the cartel of private bankers which holds formal ownership of the Fed has something else in mind. The President is blaming the recent weakness in stocks on the Fed’s move to raise interest rates. A further sell-off, perhaps sparked by a Republican defeat at the polls, could push Trump to replace Jerome Powell with someone more amenable – particularly if the FOMC stays the course and delivers another hike in December and beyond. Metals markets would likely rally following a policy reversal at the Fed. Such a move would demonstrate markets are hopelessly addicted to stimulus and money creation. That said, the alternative scenario is likely to prove the same thing. Markets are already beginning to struggle in the face of rising rates. If officials stay the course and hike again in December, the wheels could finally come off for equities. The jig is about up, in our view. The bizarre combination of rising stocks, rising interest rates, near total complacency in the traditional asset markets, and the dollar getting stronger in foreign exchange markets can’t last forever. The reason those conditions have persisted in unison as long as they have brings us to the last point for consideration; market rigging. While it looks like the central planners are reaching the end of their ability to manage performance across the spectrum, we have underestimated them before. 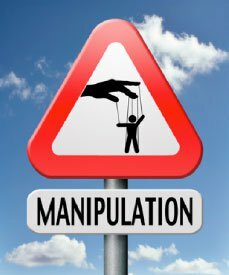 Unfortunately, manipulation is here to stay. There is absolutely no reason to expect the midterm elections will lead to more honest markets. Nobody in Washington is talking seriously about reform. The President wants the Fed to return to stimulus. Congressional Republicans and Democrats both count on central bankers to support massive deficit spending. The Fed will retain carte blanche to intervene in any and all markets regardless of who wins, unfortunately. We look forward to seeing what officials there have in mind for the US economy and how much longer they can avoid the sort of inevitable “policy error” which unleashes the next reckoning in our markets. Looking for 3-digit silver and 5-digit gold! Mike Gleason: It is my privilege now to welcome in Dr. Stephen Leeb, Chief Investment Officer at Leeb Capital Management. Dr. Leeb has decades of experience in the financial markets and has even authored seven well regarded books, including best sellers The Coming Economic Collapse: How to Thrive When Oil Costs $200 a Barrel, and Game Over: How to Prosper in a Shattered Economy. He’s also the Founder of The Leeb Group, which publishes several financial newsletters. Among them, The Complete Investor, a publication that has received two awards for editorial excellence. As such, Dr. Leeb is one of the foremost authorities on macroeconomic trends and commodities, especially when it comes to energy and precious metals, and has appeared on financial shows, on Fox Business, CNN, and several others, and it’s great to finally have him here on the Money Metals podcast. Stephen, it’s a real honor to speak with you and thanks so much for joining us today. Dr Stephen Leeb: Mike, it’s my pleasure. Mike Gleason: Well, Dr. Leeb, I’d like to get your thoughts first on the equity markets, as we’re talking here on Wednesday, there’s some real fireworks going on, but stocks bottomed in early 2009 with the S&P 500 at 735. We’re approaching 10 years of a bull market now, with just a few bumps along the way. I guess the last week being one of those. But the S&P has nearly quadrupled. On the one hand, we can see headwinds for equities building, interest rates are rising, the President’s tariffs are likely to disrupt trade and raise costs. Valuations are really stretched relative to earnings with average PE ratios at extreme highs, and this bull market and stocks is awfully long in the tooth as we both know. On the other hand, there are some legitimate reasons for optimism. We’ve seen reduced taxes and some reduced regulation with hope for more of that to come, so what are you expecting for stock markets? Do you think we can get another year or two of rising prices? Dr Stephen Leeb: I would say not two. I would say at most, into 2019. I think after that, we start really having problems. One of the reasons that you have events like today, I mean, the market’s down, wow, I’m looking at this trying to figure out exactly how much it’s down. The S&P is approaching 4% decline. That’s a very big one day decline. I don’t remember the last time we had one like that, and it follows about four declines in a row. The reasons here I think are basically investors really don’t know what to expect. I mean, you did lay out all the reasons for why the market has been rallying, and rallying recently on the heels of the tax cut. More money in company coffers, etcetera. But there’s a payback and part of that payback is going to be a whole lot of debt. Part of that payback is going to be, as the IMF said yesterday, lower growth. Especially going into 2019. Really, across the board. 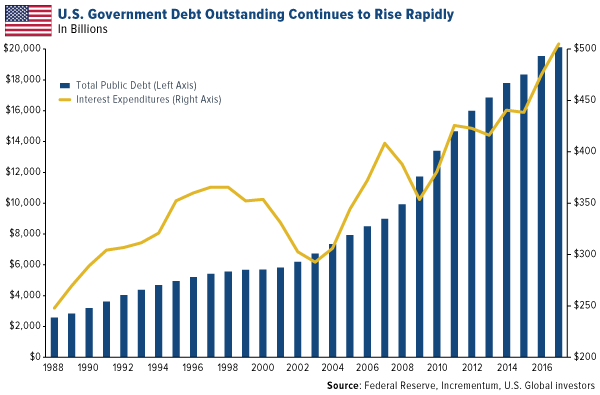 That’s going to make the debt problem in the U.S., I think a very, very serious problem. Where are we going to get the money? The administration now is talking about an infrastructure program. I don’t see it. You see these strange things coming out of the administration. I’m not taking a political side, I don’t think this is a political issue, because these strange things, they go across administrations. It’s not just this administration where you see strange things coming out. It was the previous administration, and probably the administration before that, so I mean, this is not a pox on Democrats or Republicans. This is a reason why we should not be so partisan, though, I guess. Mike Gleason: Stephen, I know you’ve had some really interesting things to say on the rare earth elementals and how that could really impact things on the trade war, talk about that because I thought that was really interesting. Dr Stephen Leeb: The Pentagon issued what they might call a whitepaper the other day, telling us how dependent we are on China for certain critical materials. In particular, heavy rare earths, which are really essential for many of our technologies and especially important is that they’re essential for our military technologies. The only real source of those heavy rare earths is China. Well, let me just qualify that. There is a company domiciled in Australia, called Lycas, and they do have a huge ore body of rare earths, including heavy rare earths, but they have to send them to Malaysia in order to be refined. Because it’s a very, very elaborate process, and recently the Malaysian government has been making noises, very strong noises that they may shut down that refinery. That would leave the world essentially dependent on China for what are really essential chemicals and elements for our high defense, our high technology products. And that’s not a great situation to be in. But what is really upsetting to me is that this is something I wrote about in 2011, in my book Red Alert. I’m doing another book on China right now, and it’s not going to be as optimistic as that. I mean, I thought we would catch up by this point, and when I wrote about it in 2011, let me be clear, I don’t want to take credit for being the first to realize how important rare earths were. I mean, it was known then, so there’s probably a decade of unwillingness to address this very, very serious problem. And then you see Vice President Pence giving a speech I think within the last week or so, saying that we’re going to go into the South China Sea, we’re going to make a scene, exercises there. We’re in no position to be able to handicap those kinds of exercises, because it’s not clear that we have the kinds of technologies that we need. I hate to say this. I mean, if we were fighting a world war against China, yes, I would give heavy odds that the U.S. would win. We have a much bigger military presence throughout the world, but China has not really geared itself to fighting a world war. They’ve geared themselves to defending critical territories. And they’ve used these technologies. I can cite chapter and verse from people that are in our own armies, our Air Force, our Navy, our Army, and that have done this research. They’re paid researchers. This was from circa two years ago. China’s progress in these areas have been startling, while we’ve been hung up in our own bureaucracies. This was pre-Trump, so it was maybe three years ago, three or four years ago. We still haven’t done a thing about it, and I think this is probably about the third or fourth whitepaper that I’ve seen on rare earths, and then you have, and this I do have to say, I don’t want to take a political stand here because it’s a pox on everybody. But when you hear the president saying that all these tariffs are going to mean tremendous taxes paid by China into U.S. coffers, well, that’s not how tariffs work. It’s the U.S. that are paying the taxes, so that they won’t buy the Chinese products. There seems to be a lot of disconnection within administrations over what America needs, and this has led me to really think that we probably need a new monetary system, a way for the world to cooperate and come together. We’re just not getting there, and if you’re not going to get there, it’s going to continue to be rough and ready. Most countries have stuff that other countries need. I think China has been first to recognize this, and they’ve done a pretty good job becoming independent, but they’re not completely independent. I mean, they have their own issues. We have our own issues. We’re just going about this the wrong way. I mean, this is probably the worst time to be as partisan as we are. You just saw this with this debate over the Supreme Court. Who can say who’s right? It’s a question of are you Democratic, are you Republican? I mean, it was to me, a little bit horrifying to watch what was going on. Supreme Court nominees are not, they don’t get in by one vote and that one vote being based upon what party you’re from. I mean, something has to change or else I fear that it could get worse, and just giving you my feeling that I talk the talk, but I’m also walking the walk in that I’m writing a book that basically will have to do with China, and gold. I don’t see how you can continue with the kind of situation that you have right now. I think China at this point is doing as much trading, apart from the dollar, as they possibly can. Will that speed up? I would guess it would. So, you’re in a very unique, historical situation right now, and it covers all sorts of areas. The center point I would probably say would be oil. I mean, what I was talking about earlier, rare earths, that’s certainly a very, very important boldface sidebar, in this whole discussion. But we’ve got to come to some sort of agreement and this stuff with tariffs, I understand it. I understand that China’s done a lot of horrible things, but I think that they will listen to reason. China from my point of view, I’ve studied them, they’re not a bellicose country, basically. I mean, the last war they fought, I don’t know when the last war they fought, but they’ve fought a lot fewer wars than we have, and they lost wars. I think that’s something that really informs what they’re doing. They don’t want to lose another war. They’re not seeking worldwide hegemony, they don’t have a military that can challenge us across the globe, but they do I think have a military that can well defend the areas that they consider critical to their survival and that’s most of the developing world. I mean, we’ve got to try and work this out with them, or else we’re going to see a lot more days and a lot more volatility in this market. I think we had a lot of good times, a lot of it was due to the fact that commodity prices dipped and fell, and you had a tax cut more recently, but now it’s going to get a little bit harder. Now you’re seeing all of a sudden, costs rising, and things like that. I think we have our work cut out for us, and I think that every investor probably should own some gold. Mike Gleason: Talking about gold here, Stephen, it seems to us that it’s actually doing pretty well. I know a lot of people are probably pretty disappointed by the price action, but given how well the stock market has done, prior to this week of course, and how strong the dollar has been in the currency markets, you’ve got to feel pretty good about how gold has hung in there, don’t you? Dr Stephen Leeb: Yes and no. 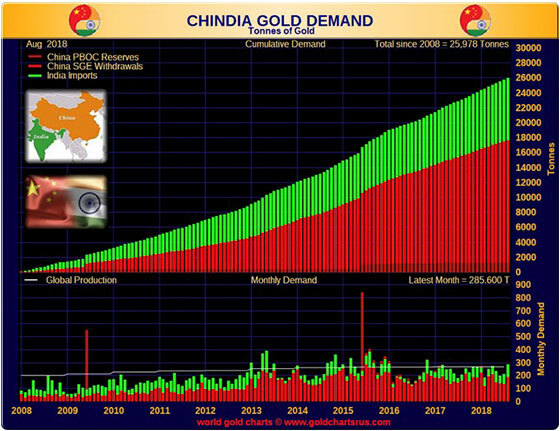 Yes, you do, but what you have to realize Mike, if you took a chart of the gold priced in yuan, you would see it looking not quite a straight line. If you took a 200-day moving average, it would be pretty close to a straight line. A 52-week moving average. Over the last 12 months, see this is I think part of China’s plan, gold and the yuan have traded very, very close together. Very, very close together. I think what China is trying to say, and I’m not necessarily accusing them on manipulation or anything like that. I’m not really a conspirator, but as I said, I think back when you first started asking me questions, that if you’re in China, and you have yuan, you can trade your yuan for gold. And if you have gold, you can get yuan for gold, you can get gold for yuan. If you’re trading oil, you can do that. Now, it’s not an easy thing to do. I mean, you have to go over to another pit. I don’t know what it’s involved. I’ve never really traded commodities on that level. I trade them on the phone, I’m not in the pits etcetera, I have no idea, but I do know that de facto yuan and gold are exchangeable, and oil trading in yuan is oil trading in yuan, de facto backed by gold. So what the Chinese arbitrage or whatever it is, what’s happened is if you look at gold priced in yuan, it’s been very, very steady for the past I would say over a year. At least since they started trading that oil contract. I think China’s message to the rest of the world is that the yuan is as good as gold. That doesn’t mean it’s as good as the dollar. It has not been as good as the dollar, but it has been as good as gold. My guess is that gold, here we’re talking about a hypothetical, I honestly think gold would probably be higher, had this yuan/gold effect not been in place. I mean, I think there’s enough uncertainties in the market right now, in the economy right now. There’s a lot of people that are not happy with Trump, profoundly not happy, and there are a lot of people that are profoundly happy. I come from a family where I’m scared to talk to my son and I’m scared to talk to my wife. When I talk to my wife, I have to say one thing, when I talk to my son I have to say something else, or else I’ll be an orphan. I’ll be thrown out. People have very, very strong emotions right now, and I just wish I could bring people together. But there are these kinds of partisan uncertainties. Can you ever remember a time where you had a partisan division deciding the Supreme Court nominee? I do think Kavanaugh’s a perfectly acceptable nominee, but the way he got in by appealing to partisanship. I mean, this is nuts. I think that gold probably would have been stronger, that’s just my guess. This is highly speculative, had it not been for the fact that it’s now linked to the yuan. Now, there’s a good reason for the yuan to be weak, because we’re administrating these massive tariffs, so that by weakening the yuan and the dollar staying relatively strong, at least gives China time to transition from exporting to the U.S., to exporting to the developing world in the East. One thing with is true is that China’s trade with the Belt Road Initiative right now is something like 1.6 trillion dollars a year. Much, much more than the U.S. I think China’s goal would probably be lessen their dependence on the U.S. Our goal should probably keep them dependent on the U.S., so that it’s easier to create a world war, but you do have these blasts of uncertainty coming forward. And how is the high debt going to affect us next year? Etcetera. So, I would have expected gold, everything else equal, to be higher, closer to $1,300-$1400. But look, that’s not an argument anyone can win. If you tell me you think it’s good around $1,200, I’m not going to get into any sort of debate about that. But I do know that if you look at the yuan and you look at gold, they’ve been basically straight lined. I mean, it’s ironic, because if you look at the yuan by itself, it’s been incredibly volatile, and if you look at gold by itself, it’s always pretty volatile. But if you look at them together, to have their volatility so matched together, it is really a very, very, very low probability, statistical phenomena, so low that you just have to guess that they are somehow interlinked. But again, I don’t have proof of this, and I don’t want to raise the thought of conspiracy or anything like that, because it could be happening very naturally, because of the arbitrage with oil and gold, vis-a-vis the yuan. So, yes, I think that gold is holding up with respect to the dollar pretty well, but I think that it probably could do better. 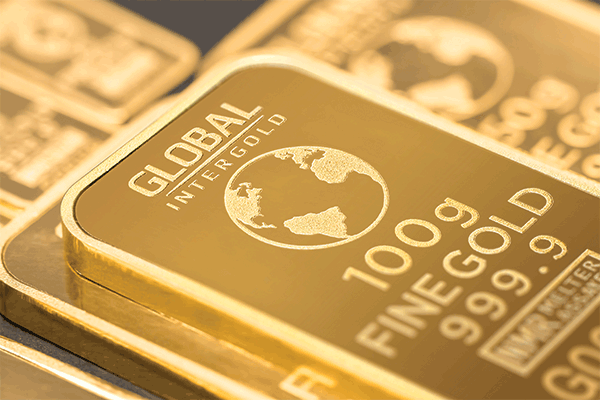 There have been a number of periods in history in which gold has done very well in the face of a strong dollar. Typically, if the dollar gets crushed, it means that something’s gone wrong in the U.S., which for most of our lifetimes has been the strongest economy in the world, so it stands to reason that gold would rise. But there have also been times where the dollar has done well, the U.S. has done well, and there’s been inflationary pressures, and gold has done well, too. So, I think gold is acting according to a different dynamic at this point. Mike Gleason: Well, we’ve touched on gold a little bit there. How about silver, Stephen? We’ve got a ratio of 83:1 as we’re talking here on Wednesday afternoon. What kind of value do you see in silver in the months ahead? Because silver can be a very interesting metal. It’s got this push/pull situation going on. Sometimes it’s hurt by lack of industrial demand during a slowing economy, but it can also catch a bid during such an environment due to its monetary status as a safe haven. So, what do you have to say about silver here as we begin to close? Dr Stephen Leeb: I think silver could be, and again, if you’d asked me this a couple of years ago, I would have said it could be a $100 metal. I haven’t changed. I think that silver basically for reasons that you put so well, and it’s an industrial metal, it’s also a monetary metal, and its industrial uses I think in some cases are probably not replaceable. Right now we need it for photovoltaics, and I think that has to play a major role in future energies. It’s the most conductive metal on the earth, it’s more conductive than copper so it has a major role in all of these car information systems, because you need incredibly good conduction in certain cases. Its industrial uses are starting to really expand, and as you see the electric vehicle take off, I think you’ll see a greater demand for silver. 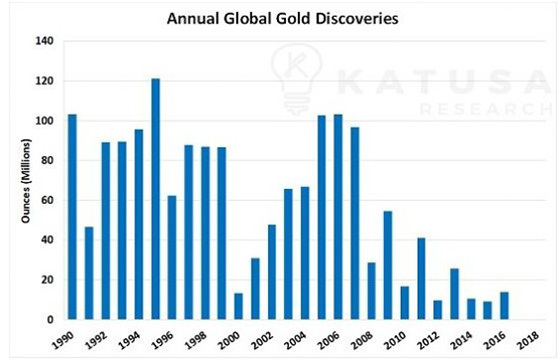 It’s more volatile than gold. I mean, if you find your stomach turning watching gold, which sometimes I do, don’t watch silver. I mean, then you’ll have to knock yourself out with Valium or something. I mean, it can be really a crazy metal, but if I were a betting man, I would say in the early 2020s, it would not surprise me —I don’t want to make a prediction – but it would not surprise me to see three-digit silver. It would not surprise me, incidentally, to see five digit gold, because you’re going to need a high price of gold in order to back up a lot of the trade that I think you’re going to see in this world. I just again want to emphasize, in writing this book, I started talking to my editor etcetera, I said, “I don’t want the last chapter to be a doomsday chapter about the U.S. I want it to be a hopeful chapter that this still can be a win/win situation.” There doesn’t have to be a number one country in the world. I mean, there has to be a number one world, a world that can be united and share and do things. I mean, everybody has things that everybody else needs. I don’t want to sound like an idealist, or some sort of spiritual nut, I’m not by any stretch of the imagination. But I think if you look around and see, the world was doing okay for a while, but we lost it here when everything speeded up for us after we went off the gold standard in the early ’70s. We went from a country that looked forward and invested for what was going to happen in the future, to a country that is now trading in terms of nanoseconds. We’ve got to get back to the Bell Lab days. I mean, we criticized the hell out of China because of these state owned enterprises, which I think is probably right to a certain extent. But I’ll just cite one state owned enterprise, or state controlled enterprise that we have in this country, and it’s called AT&T. This is before the breakup and everything else. It was when AT&T controlled Bell Labs, and it was basically a government run utility that was allowed a certain rate of return. But they were also allowed Bell Labs, and out of Bell Labs, we got our transistor, we got laser, we got the internet, we got so much out of that. We have to get back to what really made us successful. In 1957, Sputnik was launched, and three years later, instead of battling Russia, which we were to some extent, but our major focus, our major reaction to Sputnik was what? It was multibillion in today’s dollars, grants for science, education, and everything else, to get us going on. Now you’ve got this thing with rare earths, there’s a massive deposit of rare earths in Canada which could be developed. But we’ve done nothing about it. It’s been a decade, and we’ve done nothing about it. Incidentally, I’m not saying this to brag, about seven years ago when my last book came out, Steve Bannon did a half hour interview with me, talking about rare earths. The only reason I’m saying that is because this has been known. I was not the first one to discover it. But maybe the first one to write about it in a book. There are so many good things that we could be doing. There are Manhattan Projects around, like rare earths would be one example. But there are others that we could be using to develop not a hydrogen bomb, but rather things that could help our technologies, help our well-being, and help the wellbeing of a lot of other people. We’ve got to get the right religion, we’ve got to all become Americans. I’ll be happy when someone says to a typical person, “What’s your political persuasion?” If that person says American, he has my vote, or she has my vote. But until we get to that point, I fear you’re going to have a tremendous amount of volatility. Market’s now down 3%, incidentally. I had the numbers wrong before, but now unfortunately, I have ’em right, and it is down about 3%, the S&P. Maybe a shade less. And I don’t think that this is the big one yet. Could be wrong. I think it’s a time to be cautious. Incidentally, if I can make one correction, I don’t publish these services anymore. They’re published by an outfit called Investor Daily, out of Virginia. They do a very, very good job and I want to make sure they get credit for it. I’m the editor. Everything that goes into my publications is me. It’s me, my wife, and other people that help me, but I do manage money. That is true. But lately, in the publications we’ve been getting more cautious. Now, of course, I look at it day like today and I say, “Why didn’t I get even more cautious.” But anyway, I would stay cautious right now. 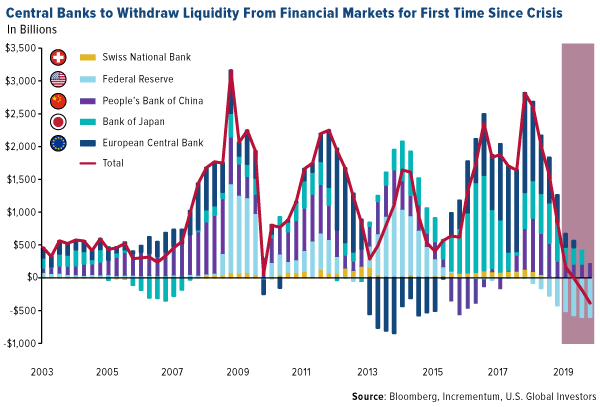 I don’t think I would make a big bet that this is the start of a massive decline, unless we see something show up, some big bank in trouble etcetera, then you know that you’ve got to act very, very quickly. I don’t even think gold would be the best way to act right then. I think it would probably be zero coupon bonds. That’s what worked better for us in 2008, and then you saw gold shoot up. But yes, I think everybody should have gold in their portfolio, at least up to 10%. Silver, as a portion of that, precious metal division, which could again be run up to 15%, and be cautious. Look at value stocks. They tend to do better in situations like this. That would be my general advice. I do think that we’ll probably get a recovery. New highs in January, it wouldn’t shock me. But it wouldn’t shock me if the market continued to go down. I mean, these are turbulent times. And in turbulent times, things that are unpredictable sometimes happen. When you’re in a situation where you have almost no excess oil supply, you could get a spike in oil. Even from the $82 area, and that would be really very, very serious. Oil spikes have proceeded every major market correction, and I think every major economic decline since the Arab embargo in the early ’70s. One thing to keep your eye on is not necessarily $100 oil, but if you saw oil find a home above $100 for let’s say a month or so, I would really get super cautious. That would be one sure sign that things are really out of whack. I think times are going to be very turbulent. You’ve got to stick with gold, you’ve got to stay on your toes, and you’ve got to take very much for granted. Mike Gleason: Yeah, well that’s very well put, we’ll leave it there for now, and thank you so much for joining us, Dr. Leeb. We hope we can do this again in the future. We’ve been following you for quite some time and really value your insights. It was great having you on. Before we let you go, please tell people how they can find you and follow you if they’d like to do that. Dr Stephen Leeb: Okay, sure. Basically, you can just look me up on the internet, Stephen Leeb. And the place that publishes my publications right now is called Investor Daily. It’s right there. There’s a Wikipedia thing on me, which is actually pretty true I think. And I would look up Investors Daily. I do two or three publications for them. They’d be happy to have you. They’ll also try and sell you other publications, and those other publications I’m happy to say are very good as well. They do a very good job, so I think that would be the easiest way, instead of giving you a long internet address. Just Stephen Leeb, just Google that and you’ll come across a number of hits. Some of them will say good things about me, some of them will say not so good things about me, but there will be at least one of those things that says Investors Daily, and that’s the one I would hit, and I think they’ll give you free introductory offers. I got out of the publishing business, because it was just too much doing analysis and publishing. I’m a better analyst than I am a businessman, which is not to say I’m a great analyst, but I’m much better at that than I am at running a business. They do the business stuff and that’s what I would look like, Investors Daily. Mike Gleason: Well, excellent stuff. Thanks again Stephen. We really appreciate your time today. Enjoy your weekend and take care. Dr Stephen Leeb: Thank you so much for having me, Mike. It was really a pleasure, you just got me on a roll. Mike Gleason: Well, we really enjoyed having you, and thanks again. That will do it for this week. Thanks again to Dr. Stephen Leeb, Chief Investment Officer at Leeb Capital Management. Be sure to check back next Friday for our next Weekly Market Wrap Podcast. Until this, this has been Mike Gleason with Money Metals Exchange. Thanks for listening, and have a great weekend everybody. In U.S. dollar-denominated terms, the price of gold is down right now. But in Turkey, Venezuela,Argentina and other countries whose currencies have weakened substantially in recent months, the precious metal is soaring. This alone should be reason enough to have part of your wealth stored in gold. Need further proof? According to a recent Bloomberg article, the cost of a black-market passport in Venezuela right now is around $2,000. That’s more than 125,000 bolivars, or 68 times the monthly minimum wage. A Venezuelan family that had the prudence to own gold would be in a much better position today to survive or escape President Nicolas Maduro’s corrupt regime. In extraordinary circumstances such as this, the yellow metal can literally help save your life.